Want it, but I’m gonna hold off on ordering for now. Fed up of buying 4K steelbooks for more money when I don’t have a 4K setup. Thanks for the tag Paul will defo be getting this! hope this will be the final artwork ...but all released posters are good, so. I won't be supporting this practice of jacking up the price for no reason. £24.99 was a price we'd come to accept for 4K releases, so what are we getting for our extra £5....art cards....a slip...a booklet? No, nothing. And some of us are forced to pay £10 for a disc we don't even want instead of the usual £5 . I want 4K but not at this price, $40 is too expensive for a 4K+2D release. Not that I support 3D but if it had all three I can understand that price. 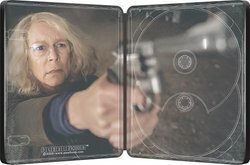 I'll pass on this, hopefully Best Buy will get a 4K steelbook release of this. PO for now. WIll cancel if premium edition pops up. Again with the 4k steelbook price debate. When new 2D/4K releases sell for the higher end of between £20-25 then why is £5 extra for a steelbook talked about as a rip off when people routinely pay £25 for a 2D/3D version of a film in a steelbook? No one is forcing anyone here to buy a steelbook for x amount sheerly because it has a particular disc in it. IF you have to have it however, there are plenty of places where you can flog the 4K disc and you'd have no problem getting atleast a tenner for it which essentially reduces the cost down to what you wanted to pay for the standard blu ray disc and the steelbook anyway. I don't think they're struggling sheerly because they're asking £30 for a 4k steelbook. I think the quality of film and steelbook design has to be factored in too. Most of the films listed above either were crap and/or had a crap steelbook. The £30 price tag isn't helping though. 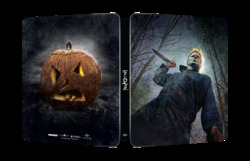 I'm not overly fussed about art, as I get these because I want to see the film and like steelbooks, but I refuse to pay £30 for a 4K steelbook (unless it includes 3D as well). If HMV sell enough at £30, then the price drop is probably not a big deal, or if they aren't, they may limit the units available in future.